Kattegat (waters between Denmark and Sweden) and the Skagerrak (part of the North Sea) meet. It is a year-round fishing town, with an extensive fishing fleet, as well as related food industries and other industries that support the fleet. During the summer, its extensive beaches and migrating sand dunes attract visitors, with lovely oceanside views. The region has been compared to Cape Cod for its combination of sand and fishing. 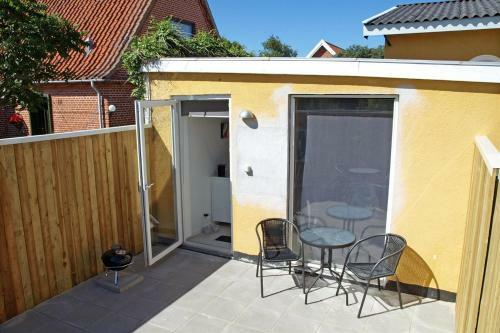 Situated in Skagen, this holiday home features free WiFi. 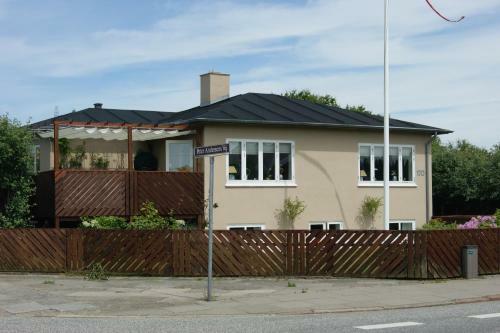 The property is 32 km from Frederikshavn and free private parking is offered. A dishwasher and a microwave can be found in the kitchen and there is a private bathroom. A TV is available. Average score from 5 guest reviews: 0.0/10. 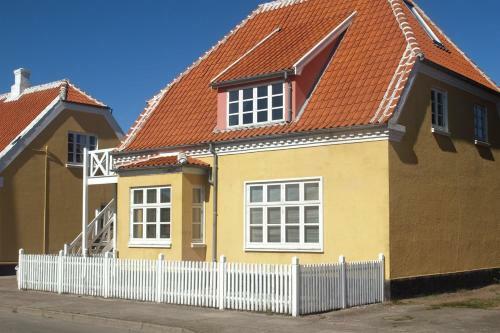 Offering a garden, Oddevej Apartments offers accommodation in Skagen. Frederikshavn is 32 km from the property. Free WiFi is available . The accommodation is fitted with a flat-screen TV with satellite channels. Average score from 15 guest reviews: 0.0/10. Holiday Home Skagen I offers accommodation in Skagen, 31 km from Frederikshavn and 40 km from Hirtshals. 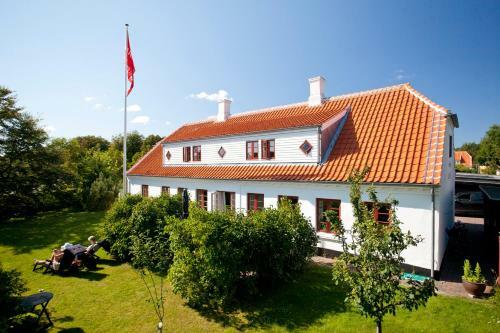 The property is 47 km from Hjørring and free private parking is offered. Free WiFi is featured throughout the property. Average score from 8 guest reviews: 0.0/10. 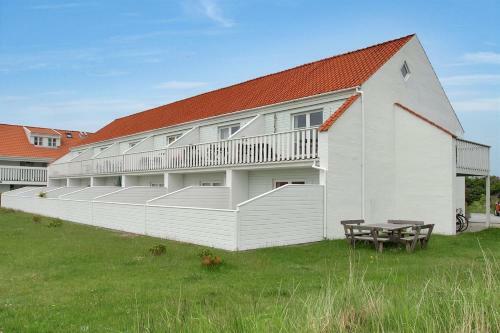 Featuring free WiFi throughout the property, Ferie i Skagen is located in Skagen, 32 km from Frederikshavn. Hirtshals is 41 km from the property. Free private parking is available on site. All units have a flat-screen TV. Average score from 13 guest reviews: 0.0/10. The quiet, family-run Hotel Petit is 6 minutes’ walk from Skagen Museum and Sønderstrand Beach. It offers a personal service, free tea/coffee and free Wi-Fi access. Average score from 15 guest reviews: 0.0/10. See all hotels in Skagen. Situated a 15-minute walk from central Skagen, this family-run property offers free Wi-Fi and rooms with a TV. Guests have access to a modern, fully equipped kitchen and a furnished outdoor terrace. Average score from 10 guest reviews: 0.0/10. BOOK THIS HOTEL NOWSee all hotels in Skagen. 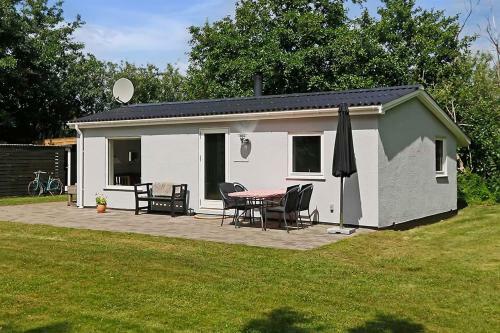 Holiday home Batterivej C- 343 offers accommodation in Skagen. The unit is 34 km from Frederikshavn. The kitchen is equipped with a microwave and there is a private bathroom. A TV is provided. Average score from 5 guest reviews: 0.0/10. Offering a barbecue and sun terrace, Toftegården Guest House - Rooms is situated in Skagen. Free private parking is available on site. Rooms are fitted with a flat-screen TV. Some rooms feature a seating area where you can relax. Average score from 3 guest reviews: 0.0/10. 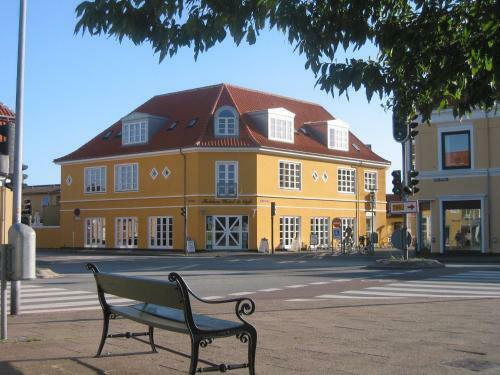 Danhostel Skagen is located on northern Jutland, 1 km from Skagen city centre. It offers basic rooms with shared or private facilities. Frederikshavnsvej Train Stop is located only 200 metres away. Average score from 13 guest reviews: 0.0/10. Located in Skagen in the Nordjylland Region, 32 km from Frederikshavn, Kim's Homestay Skagen boasts a barbecue and terrace. Every room comes with a shared bathroom. Kim's Homestay Skagen features free WiFi throughout the property. Average score from 9 guest reviews: 0.0/10. 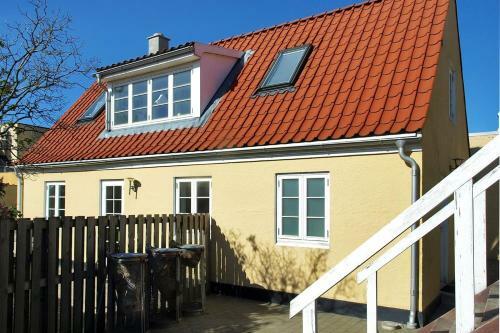 Holiday home Tranevej IV is located in Skagen and can accommodate up to six persons. The accommodation is provided with a satellite-TV, a CD player and a fireplace in the living room. Average score from 8 guest reviews: 0.0/10. This 1-bedroom apartment is located 1.5 km from Skagen Train Station and within 20 minutes’ walk of Skagen’s harbour. 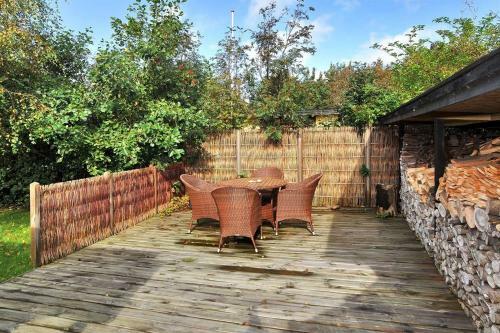 It offers free Wi-Fi, free private parking on site and a terrace with garden furniture. Average score from 5 guest reviews: 0.0/10. Set in central Skagen, this guest house offers rooms with a TV, dining table and free Wi-Fi access. Sct Laurentii Vej shopping street is right next to the property. Rooms at Oddevej 20 Skagen have either private or shared bathrooms. Average score from 14 guest reviews: 0.0/10. 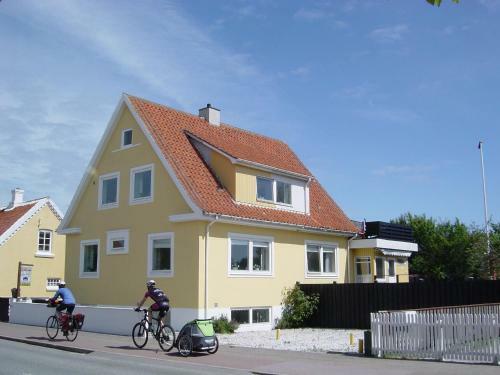 One-Bedroom Holiday home in Skagen is a holiday home located in Skagen, 31 km from Frederikshavn. 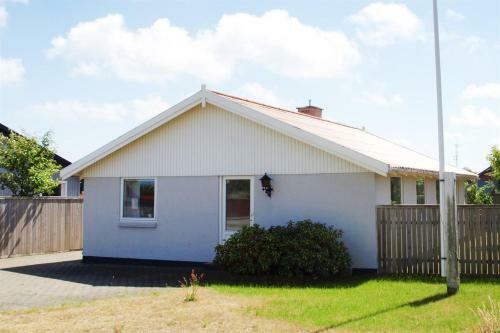 The property is 40 km from Hirtshals and free private parking is offered. The unit is equipped with a kitchen. A TV with satellite channels is... Average score from 7 guest reviews: 0.0/10. Holiday home Sovkrogsvej C- 4407 is a holiday home set in Skagen, 31 km from Frederikshavn. The unit is 39 km from Hirtshals. The kitchen features a dishwasher. A TV is offered. There is a private bathroom with a bath or shower. Average score from 13 guest reviews: 0.0/10. This grand hotel, located directly across from the Skagen Museum, is 400 metres from Skagen Train Station. It offers fine dining, charming guest rooms and free on-site private parking. Free WiFi is available. Average score from 6 guest reviews: 0.0/10. 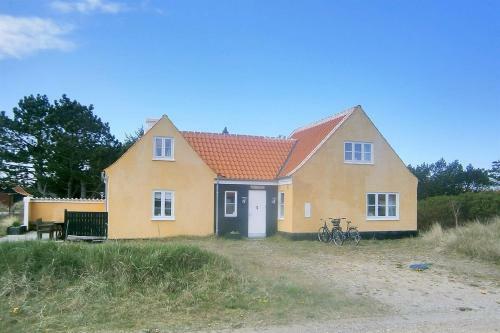 Just 100 metres from Skagen Harbour, this property is 5 minutes’ walk from the city’s long, sandy beach. It offers free Wi-Fi, a shared kitchen and fresh, simple rooms with cable TV. Average score from 13 guest reviews: 0.0/10. Toftegården Apartments and Rooms offers private, self-catering accommodation in the centre of Skagen and is just a 10-minute walk from the main pedestrian shopping street Sct. Laurentiivej. Free WiFi and parking are available. Average score from 5 guest reviews: 0.0/10. 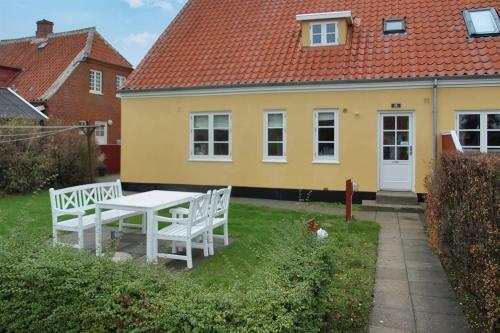 This central property is 3 minutes’ walk from Skagen Harbour and less than 1 km from Skagen Train Station. It offers a well-equipped guest kitchen and communal TV lounge. Average score from 13 guest reviews: 0.0/10. Apartment Doggerbanke is located in Skagen. It can accommodate up to two persons. The studio has an open terrace and will provide a TV with cable channels. There is a fully equipped kitchen with a refrigerator and a microwave. Average score from 7 guest reviews: 0.0/10. Holiday home Brovandevej offers a terrace and is situated in Skagen. The house can accommodate up to four persons. The accommodation provides a TV with cable channels. The bedroom has double bed and in the living room there is a double sofa bed. Average score from 13 guest reviews: 0.0/10. With a quiet location in Vesterby, the oldest neighbourhood in Skagen, Badepension Marienlund features a quiet garden and bicycle rentals. Its bright rooms include cable TV and free Wi-Fi. Average score from 3 guest reviews: 0.0/10. This hotel is 5 minutes’ walk from Frederikshavnsvej Train Station. It offers fine dining and free private parking. Leisure options include a sauna, minigolf course and outdoor pool. Skagen town centre is 2 km away. Average score from 8 guest reviews: 0.0/10. 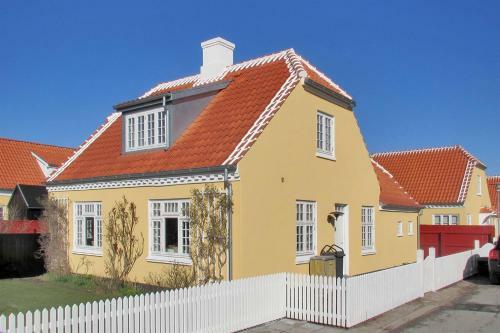 Set in Skagen, this holiday home is located 32 km from Frederikshavn. The unit is 37 km from Hirtshals. The kitchen features a dishwasher. A TV and DVD player, as well as a CD player are featured. Average score from 12 guest reviews: 0.0/10. Apartment Sct. Laurentiivej II is located in Skagen. The apartment can accommodate up to 8 persons and offers a balcony. The three-bedroom apartment is provided with a seating area, TV, CD, DVD and Video player. Average score from 14 guest reviews: 0.0/10. 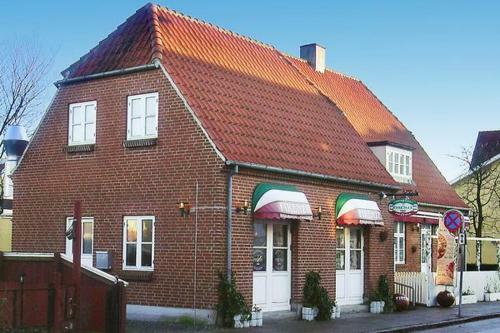 Situated 32 km from Frederikshavn and 40 km from Hirtshals, Apartment Carl I offers accommodation in Skagen. The unit is 46 km from Hjørring. The kitchen is equipped with a microwave. A TV, as well as a CD player are provided. Average score from 12 guest reviews: 0.0/10. Selected Skagen, Krøyer´s Three-Bedroom Apartment 05 offers accommodation in Skagen. Frederikshavn is 32 km from the property. Free WiFi is provided throughout the property. All units have a TV. Average score from 3 guest reviews: 0.0/10. Selected Skagen, Krøyer´s Three-Bedroom Apartment 01 is set in Skagen, 32 km from Frederikshavn. 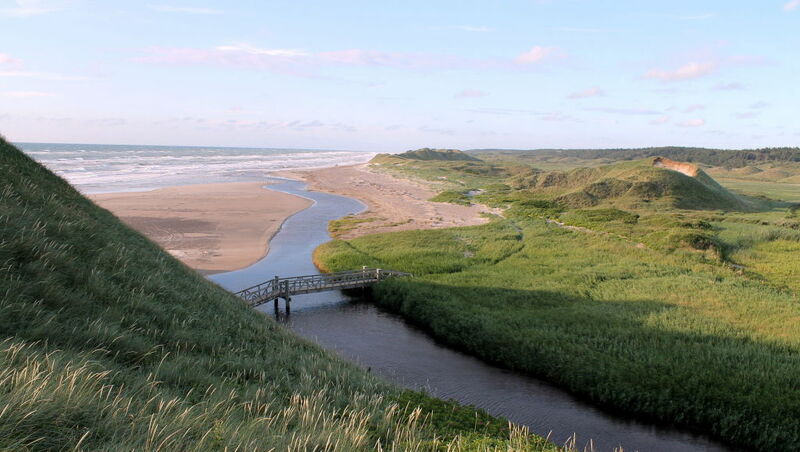 Hirtshals is 37 km from the property. Free WiFi is available throughout the property. The accommodation has a cable TV, DVD player, and CD player. Average score from 11 guest reviews: 0.0/10. Foldens Hotel 2 Annex is set in Skagen, 32 km from Frederikshavn. Guests can enjoy the on-site restaurant. Free private parking is available on site. Certain rooms feature a seating area to relax in after a busy day. Average score from 9 guest reviews: 0.0/10. Holiday home Skagen 563 with Terrace is a holiday home with a terrace, set in Skagen. The unit is 32 km from Frederikshavn. Free private parking is available on site. The unit is fitted with a kitchen. A TV, as well as a CD player are available. Average score from 7 guest reviews: 0.0/10. 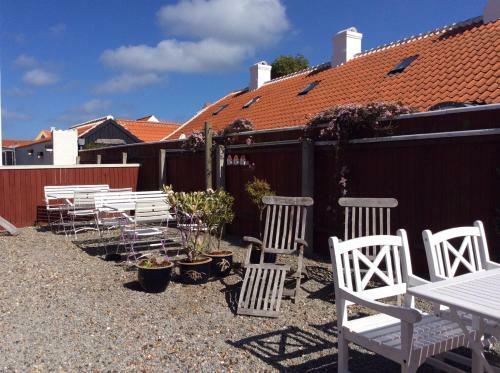 Located in Skagen in the Nordjylland Region, this holiday home is 32 km from Frederikshavn. 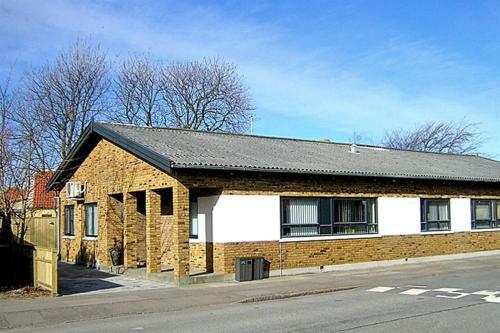 The property is 39 km from Hirtshals and free private parking is provided. The unit equipped with a kitchen with a dishwasher and microwave. Average score from 3 guest reviews: 0.0/10. Situated in Skagen, this apartment features a terrace. 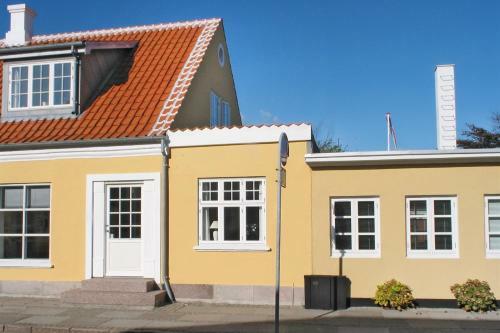 The property is 32 km from Frederikshavn and free private parking is available. Free WiFi is offered throughout the property. Average score from 5 guest reviews: 0.0/10. 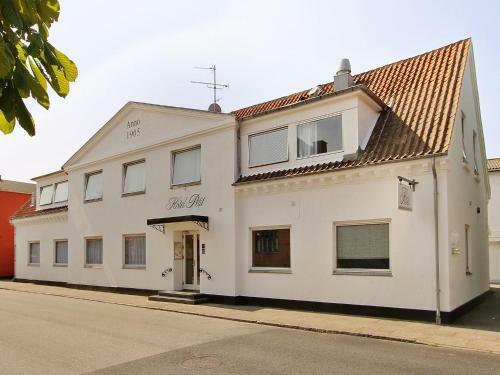 Situated by Skagen Station, Foldens Hotel 2 is a few minutes' walk from the town centre. It provides a restaurant and simple rooms with a TV. Sønderstrand Beach is within 10 minutes’ walk. Average score from 7 guest reviews: 0.0/10. 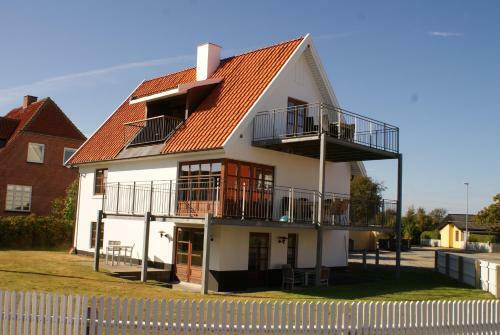 Situated by Skagen Harbour, this property provides free WiFi and parking. It offers rooms just 5 minutes’ walk from sandy beaches. Skagen Train Station is 1 km away. Average score from 10 guest reviews: 0.0/10. This hotel lies in central Skagen, 80 metres from Skagen Train Station. It features an on-site restaurant and cosy café. All rooms have a TV and a private bathroom with a shower. Average score from 11 guest reviews: 0.0/10. 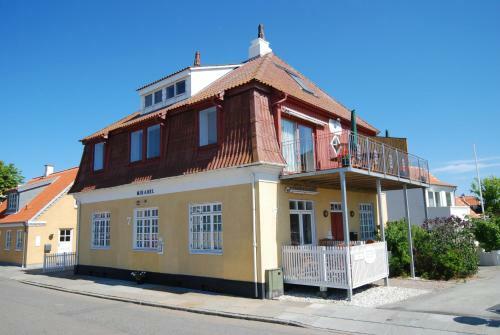 Apartment Møllevej I offers pet-friendly accommodation in Skagen, 31 km from Frederikshavn. The unit is 39 km from Hirtshals. The kitchen features a microwave. A TV and DVD player is provided. Average score from 15 guest reviews: 0.0/10. Holiday home Møllevang D- 3016 is a holiday home with a terrace, located in Skagen. The unit is 32 km from Frederikshavn. Free WiFi is available throughout the property. The unit is fitted with a kitchen. A TV, as well as a CD player are provided. Average score from 12 guest reviews: 0.0/10. 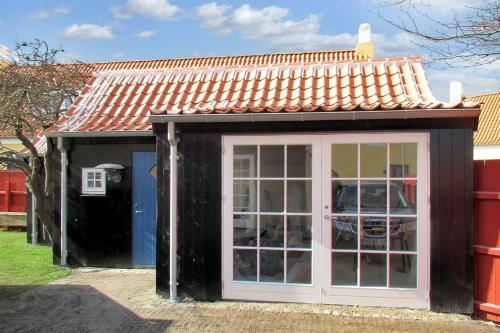 Holiday home Vesterbyvej III is located in Skagen. The nearest city, Frederikshavn, is 40 km away. The accommodation will provide a TV, a DVD player, a Hi-Fi system/ CD player and German, Scandinavian cable channels. Average score from 7 guest reviews: 0.0/10. Holiday home Vesterbyvej II is located in Skagen. The nearest city, Frederikshavn, is 40 km away. The accommodation will provide a TV, a DVD player, a Hi-Fi system/ CD player and German, Scandinavian cable channels. Average score from 14 guest reviews: 0.0/10. Set 32 km from Frederikshavn and 37 km from Hirtshals, Holiday home Sønderhede E- 4337 offers accommodation in Skagen. The unit is 45 km from Hjørring. The kitchen has a dishwasher. A TV is provided. There is a private bathroom with a bath or... Average score from 11 guest reviews: 0.0/10. Located 31 km from Frederikshavn, Apartment Skagen 599 with Terrace offers accommodation in Skagen. The unit is 39 km from Hirtshals. Free private parking is available on site. The kitchen has a dishwasher. A TV and DVD player are available. Average score from 12 guest reviews: 0.0/10. Apartment Møllevang III offers accommodation in Skagen. The unit is 32 km from Frederikshavn. The unit is fitted with a kitchen. A TV is provided. Other facilities at Apartment Møllevang III include a terrace. Average score from 7 guest reviews: 0.0/10. 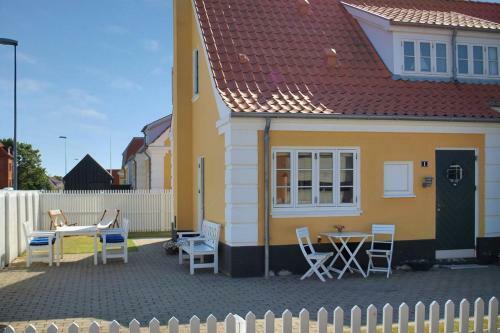 Situated in Skagen, this holiday home is set 33 km from Frederikshavn. The unit is 41 km from Hirtshals. The unit is equipped with a kitchen. A TV is available. Other facilities at Holiday home Nordstjernevej A- 3213 include a terrace. Average score from 4 guest reviews: 0.0/10. 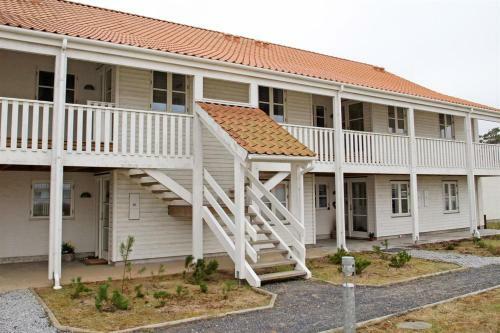 Situated 31 km from Frederikshavn and 37 km from Hirtshals, Apartment Flagbakkevej VIIII offers accommodation in Skagen. The unit is 44 km from Hjørring. The kitchen comes with a dishwasher. A TV and DVD player is featured. Average score from 7 guest reviews: 0.0/10. Located in Skagen, this apartment features a terrace. The unit is 31 km from Frederikshavn. The kitchen comes with a microwave. A TV and DVD player, as well as a CD player are available. Average score from 8 guest reviews: 0.0/10. 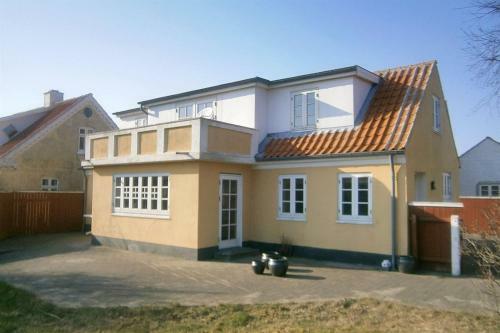 Situated in Skagen, this holiday home is located 32 km from Frederikshavn. It provides free private parking. The kitchen is fitted with a dishwasher. A TV and DVD player, as well as a CD player are offered. There is a private bathroom with a bath. Average score from 4 guest reviews: 0.0/10. 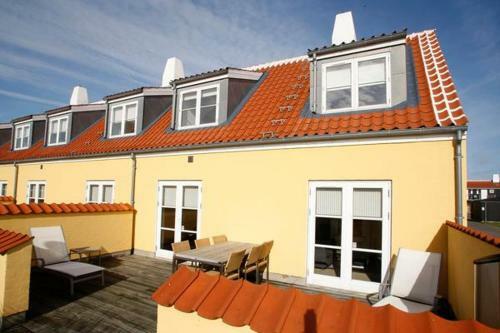 Situated in Skagen, this apartment features a terrace. The unit is 31 km from Frederikshavn. The unit is fitted with a kitchen. A TV, as well as a CD player are available. Average score from 7 guest reviews: 0.0/10. 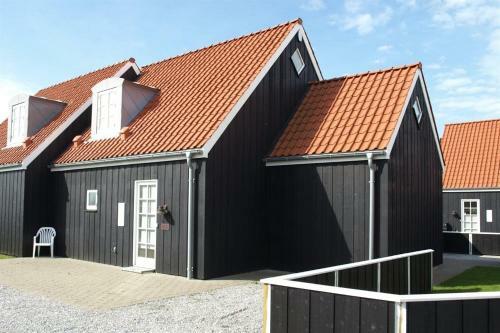 Holiday home Kjeldergangen A- 2261 offers accommodation in Skagen. The unit is 32 km from Frederikshavn. The kitchen comes with a dishwasher and there is a private bathroom. A TV, as well as a CD player are featured. Average score from 5 guest reviews: 0.0/10. This apartment, surrounded by forest and dunes, is set in the picturesque Gammel Skagen area. It features 2 furnished terraces. The Sømærket sunset viewing spot on Skagen Nordstrand Beach is 800 metres away. Average score from 4 guest reviews: 0.0/10. 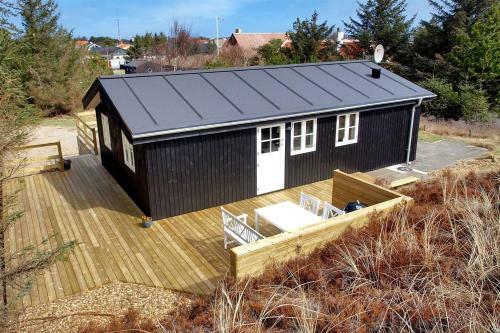 Holiday home Lærkestien is located in Skagen and features a hot tub. It can accommodate up to 6 people. The golf course is 11 km from the property. The three-bedroom accommodation will provide you with a . Average score from 8 guest reviews: 0.0/10. 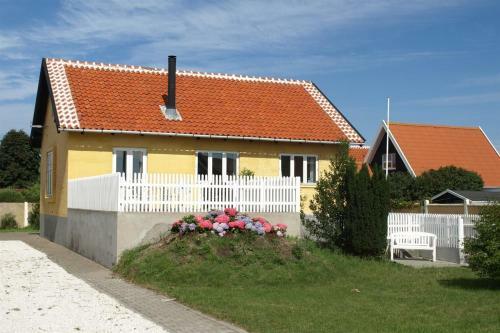 Situated in Skagen in the Nordjylland Region, this holiday home is 32 km from Frederikshavn. The unit is 37 km from Hirtshals. A TV is available. Other facilities at Skagen Holiday Home 11 include a terrace. Average score from 12 guest reviews: 0.0/10. 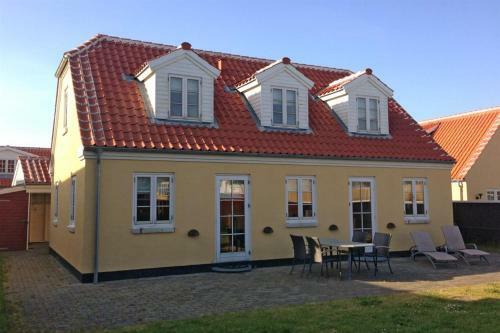 Set in Skagen in the Nordjylland Region, this holiday home is 32 km from Frederikshavn. 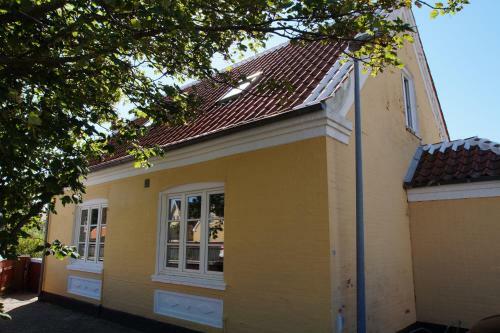 The property is 40 km from Hirtshals and free private parking is provided. The kitchen comes with a dishwasher and there is a private bathroom. A TV is... Average score from 12 guest reviews: 0.0/10. 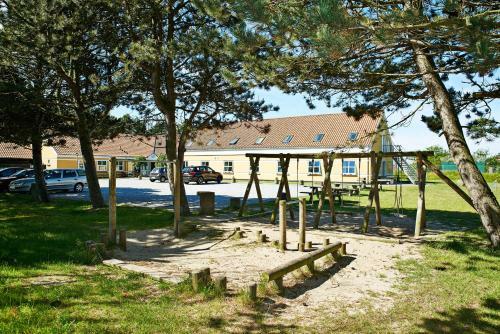 Located 32 km from Frederikshavn, Three-Bedroom Apartment Østre 03 offers accommodation in Skagen. The unit is 40 km from Hirtshals. The kitchen has a dishwasher. A TV is provided. Aalborg Airport is 83 km away. Average score from 9 guest reviews: 0.0/10. 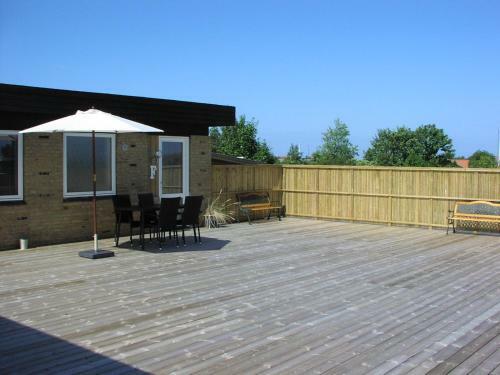 Located in Skagen in the Nordjylland Region, this holiday home features a garden with a terrace. It provides free private parking. The kitchen comes with a dishwasher. A TV is available. There is a private bathroom with a bath. Average score from 12 guest reviews: 0.0/10. Located in Skagen, this apartment features a terrace. The unit is 31 km from Frederikshavn. The unit equipped with a kitchen with a dishwasher and microwave. A TV and DVD player, as well as a CD player are offered. Average score from 4 guest reviews: 0.0/10.